Now that Spring is here, I find myself hearing the call of the outdoors a bit louder. With bulbs popping, green grass appearing, and chirping birds, it’s as if nature is saying “Hey! Get out of the house and come hang out outside!” When the weather is beautiful, I’m drawn towards recipes that can be made in quickly to maximize deliciousness and outdoor entertaining time. 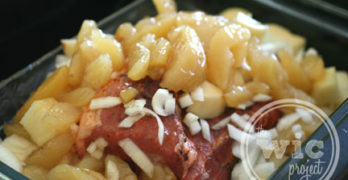 One of my favorite things about Lucky Leaf Pie Fillings is that the allow me to do just that. You can use Lucky Leaf for more than just pies. 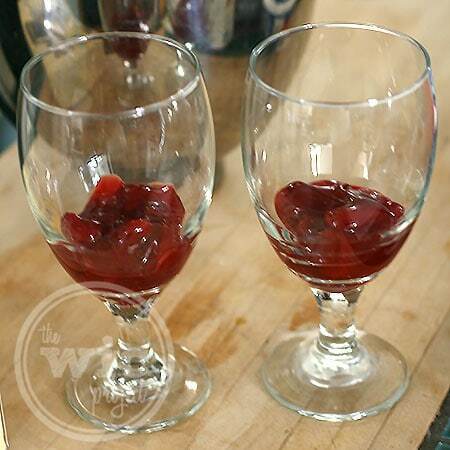 They can also be used for cakes and other desserts that can be prepared early and in short time so you can spend more time outside and less time in the kitchen. 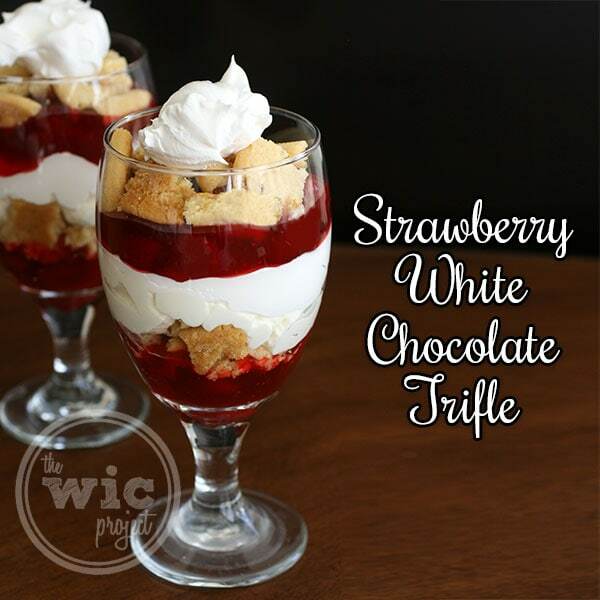 Today, I used Lucky Leaf Strawberry Pie Filling to make Strawberry White Chocolate Trifle. Easy to make layers of strawberries, white chocolate mousse, and cookies. To make white chocolate mousse, beat cream in a bowl until it thickens. Gradually add sugar, beating until stiff peaks form. Set aside. In another bowl, beat cream cheese until fluffy. Add chocolate and beat until smooth. 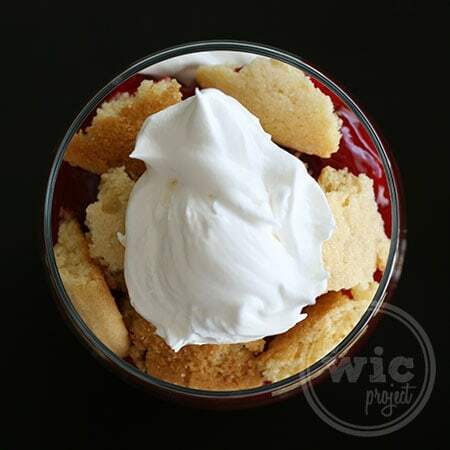 Assemble trifle by layering pie filling, broken sugar cookies, white chocolate mousse, and whipped topping in a trifle bowl. Top with dollops of whipped cream. Refrigerate until ready to serve. Since Strawberry is one of my favorite Lucky Leaf Pie Fillings, I was excited to give this recipe a try. A couple of years ago, I made a Layers of Love Cherry-Choco Trifle, which was amazing, so I expected this trifle to be just as delicious. First, we made the white chocolate mousse. This is a two part process that involves whipping up cream and adding sugar for fresh whipped cream. Then you mix up beaten cream cheese and melted white chocolate. Combine these two to make a totally delicious mousse that you’ll likely find yourself “tasting” repeatedly. Now the fun begins. Building the trifle. 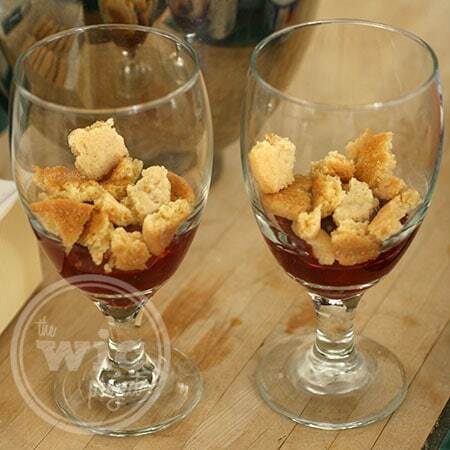 I started with a couple of large, tall glasses since I don’t have trifle bowls. 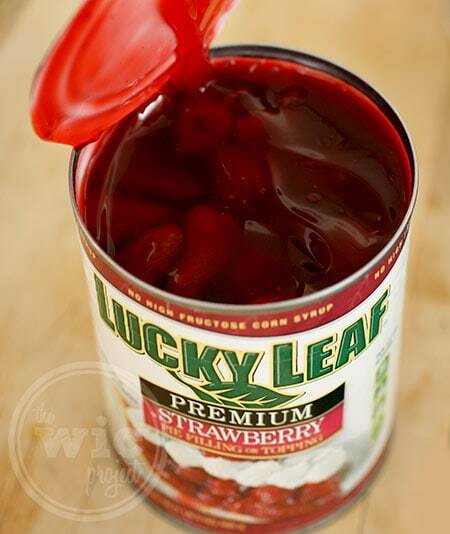 First, it’s time for Lucky Leaf Strawberry Pie Filling. Next, I broke up some fresh sugar cookies as the second layer. Next, I added layers of the White Chocolate Mousse and whipped cream, then added more strawberry pie filling and cookies. Finally, I added a dollop of whipped cream to the top of my trifle. In celebration of spring, Lucky Leaf also sent me this too cute Chicks Charm Springtime Gerbera Daisy Plant, courtesy of FTD. For a limited time, you can save $10 off select Spring arrangements from FTD. 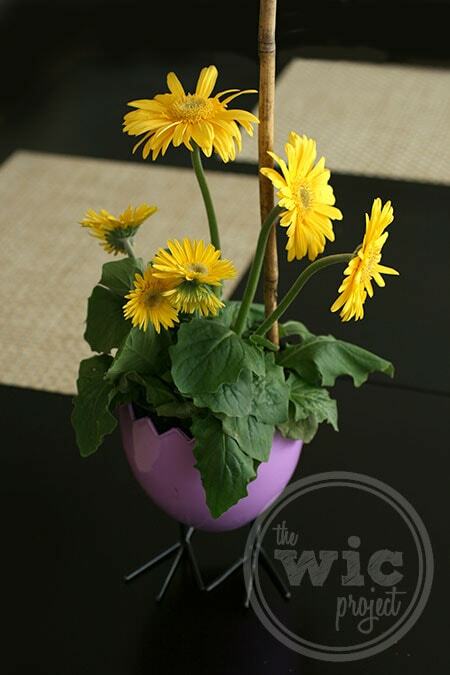 This is a great way to add some color to your home if your garden flowers haven’t started blooming yet. One winner will receive a Lucky Leaf Prize Pack which includes Lucky Leaf Pie Filling and recipe cards. 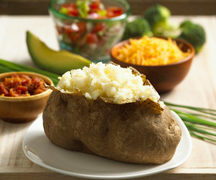 This looks delicious!I think it would be good with blueberries also. I ADORE raspberries. I cannot get enough of them. I grow them. Always expanding the bed, too..
My favorite fruit to put in a trifle is strawberries. My favorite canned fruit is peaches, so that is what I would put in it. I like bananas and strawberries in trifles. Thanks for the chance. I would enjoy strawberries and pineapple. That’s a tough choice. I would have to say either strawberries, or cherries. I love cherry. 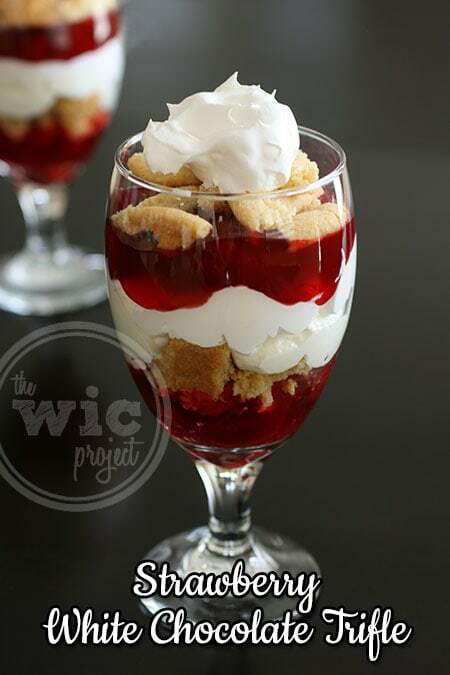 I also love the mixed berry and peach pie filling so I believe that a trifle could be made with just about any one that my taste buds desire. Oh my I am all about cherries. I would enjoy blueberries in mine. I think the strawberry would be my favorite. Strawberries are my favorite & I would love them in a truffle! I would enjoy the strawberries. Love this product. I grew up watching my mother using these products. I’d use cherry pie filling. I want to use peaches. I would enjoy cherries the most in my trifle! I’d like peaches or cherries.